Membership is a reflection of a personal commitment to the values of public service, dedication, compassion, and courage demonstrated by the first responders, care givers, and burn survivors that are the heart of the PFFWCF Alliance for Fire Safety. Help make Wisconsin Fire Safe and Burn Free! Help us continue to impact the lives of Latoya, Brooke, and many others as we expand our reach through your generous donation. The Alliance for Fire Safety is a continuation of the Wisconsin Alliance for Fire Safety formed in 1987 after a fifteen-day period in which 20 people suffered a fire related death in the City of Milwaukee, among them 17 children. 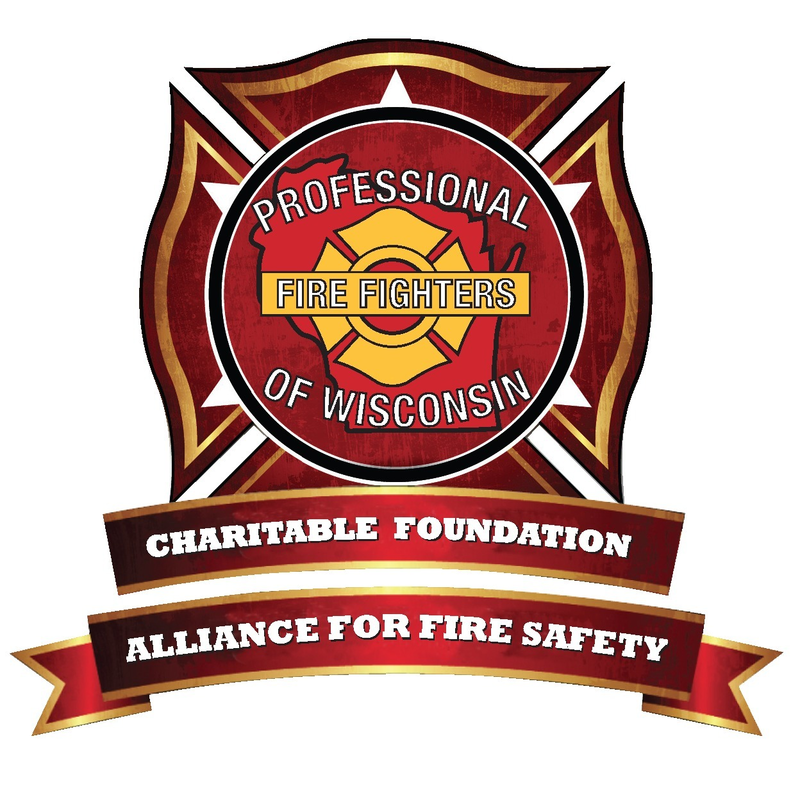 In 2015, The Professional Fire Fighters of Wisconsin Charitable Foundation acquired the Wisconsin Alliance for Fire Safety with the commitment to support and maintain all the successful burn survivor and fire safety programs the Wisconsin Alliance for Fire Safety built over the last 30 years moving forward, including: The Summer Camp for Burn Injured youth, Sponsorship of Wisconsin Burn Survivors to attend the Phoenix Society's World Burn Congress, The Young-Adult Leadership Conference for burn survivors, & The production and the distribution of a special fire safety section newspaper that is distributed to all 4th to 7th grade students in Wisconsin. The Professional Fire Fighters of Wisconsin Charitable Foundation (PFFWCF) is a public charity working to create a fire safe and burn free Wisconsin through four areas of programming; Burn Survivor Support, Fire Prevention, Fire Fighter Support, and Community Support. The mission of the Professional Fire Fighters of Wisconsin Charitable Foundation is to promote, encourage, and foster fire safety, burn prevention, and public safety education. We support burn survivors of all ages, fire fighters, and the communities they serve.